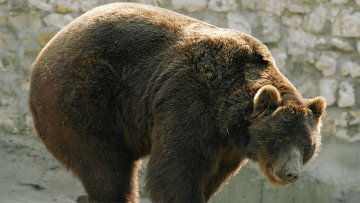 Investigation launched into brutal bear killing in Siberia | Russian Legal Information Agency (RAPSI). MOSCOW, December 28 (RAPSI, Diana Gutsul) – Investigation has been launched into brutal killing of a bear in Yakutia, Siberia, the regional Investigative Committee announced on Wednesday. Earlier, a shocking video showing people driving on trucks over a bear allegedly in Yakutia became available online. According to investigation, the Ural off-road trucks used for killing the animal are owned by a company engaged in works connected with studies of subsurface resources and mineral reserves replacement in the Republic of Sakha (Yakutia). The crime was allegedly committed by rotation workers of one of the republic’s regions. A criminal case has been opened over cruelty to an animal committed by group of persons with the use of sadistic methods and resulted in its death. 13:48 28/12/2016 Investigation has been launched into brutal killing of a bear in Yakutia, Siberia.